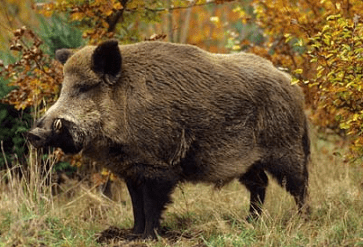 Mount Harriet National Park complete detail – updated. Geography of Mount Harriet National Park. Dominant flora and fauna of Mount Harriet National Park. How to Reach Mount Harriet National Park. Its natural charm and beauty attracts a lot of visitors. In past, Mount Harriet served as the headquarters for the British Chief Commissioner during the summer months. The hills are steeper on the eastern side. The beaches on the eastern coast are generally rocky, with a few sandy patches. The Park also possesses freshwater streams, originating from the hill ranges and draining into the sea on the east coast…………..
Total area of the park is 46.62 Km2. Mount Harriet National Park was established in the year of 1987. The avifauna of the Park is very rich and diverse due to dense forests, the presence of many varieties of wild fruit plants, and open seashore on the eastern side. The park offers some of the most breathtaking views of sunrise and lazily laid Andaman sea all around. The place as such does not have much to see but it can be a perfect place to see the natural beauty…………..
Mount Harriet National Park is a beautiful place, located in the Andaman district of Andaman and Nicobar Islands (Union territory) of India. The place is shown on the reverse side of Rupee 20 note in India. Mount Harriet National Park was established in the year of 1987. Total area of the park is 46.62 Km2. Mount Harriet (383 m), which is part of the park, is the third-highest peak in the Andaman and Nicobar archipelago next to Saddle Peak (732 m) in North Andaman and Mount Thullier (568 m) in Great Nicobar. The park is named in commemoration of Harriet Tytler, the second wife of Robert Christopher Tytler, a British army officer, an administrator, naturalist and photographer, who was appointed Superintendent of the Convict Settlement at Port Blair in the Andamans from April 1862 to February 1864. Harriet is remembered for her work in documenting the monuments of Delhi and for her notes at the time of the Revolt of 1857 in India. The Mount Harriet National park is one of the closest wilderness areas to the Capital port Blair. The park contains some of the highest peaks in the Andaman Group of Islands and is covered with dense evergreen and semi evergreen forests of outstanding natural beauty. The park offers some of the most breathtaking views of sunrise and lazily laid Andaman sea all around. The place as such does not have much to see but it can be a perfect place to see the natural beauty. The hills are steeper on the eastern side. The beaches on the eastern coast are generally rocky, with a few sandy patches. The Park also possesses freshwater streams, originating from the hill ranges and draining into the sea on the east coast. The avifauna of the Park is very rich and diverse due to dense forests, the presence of many varieties of wild fruit plants, and open seashore on the eastern side. The park is also a Butterfly hotspot. Its natural charm and beauty attracts a lot of visitors. The greenery everywhere provides you immense feel that you are in a deep forest. One can have a glimpse of different kinds of birds from this point. From the top of the peak, one can get a magnificent view of the Port Blair city, the Ross Island and the Havelock Island. The park has watch towers, children’s park, deer park, guest house and tourist sheds close to Mount Harriet peak. An Orchidarium and a butterfly house are being developed here for providing more enjoyment and learning to the tourists. A well maintained nature trail connects kala pathar view point with the Guest house Complex. In past, Mount Harriet served as the headquarters for the British Chief Commissioner during the summer months. From the high point of the national park, the visuals are seen in the surrounding regions quite clearly. Mount Harriet National Park was originally a reserve forest. It was established as a National park in the year of 1987. Total area of the park is 46.62 Km2, which is likely to be extended to cover an additional area of 1,700 hectares to include adjoining mountain ranges and the marine ecosystem on the eastern coast. Mount Harriet National Park is a beautiful place, located in the Andaman district of Andaman and Nicobar Islands (Union territory) of India. Total area of the park is 46.62 Km2. Mount Harriet National Park is situated in Ferrargunj tehsil of Andaman district, about 30 km from Port Blair. 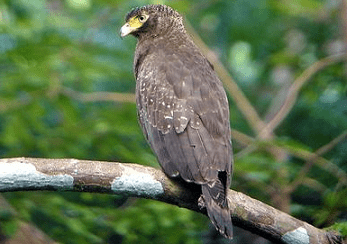 The Mount Harriet National Park is one of the nearest wilderness filled areas from Port Blair. This verdant and tranquil national park is sheeted with lush evergreen and semi evergreen woods blessed with the breathtaking grandeur of Mother Nature. 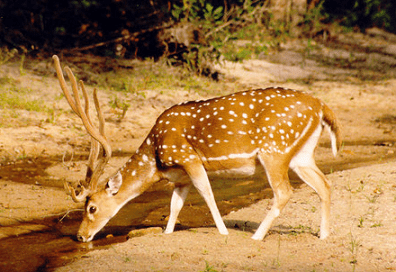 The entire National park forms a major chunk of the hill ranges in the eastern part of south Andaman Islands. The general elevation of the tract varies from sea level to 459 meters. The mountains in the park are aligned in a north-south direction with the ridges and spurs originating from it aligned in an east-west direction. The eastern face of the park has steep slopes, and the beaches here are also formed of rocks interspersed with small sandy areas. The park is drained by many streams which rise in the hills and flow into the sea on the east. Most of the area from steep precipitous slopes to gentle slopes with undulating terrain. Some peaks are Mt. Koyob (459 m), Mt. Hext (425m), Mt. Harriet (422m), Mt Goodrige (376m), and Mt. Carpeter (346m). The Park possesses hill ranges, which generally lie in the north-south direction. From these, numerous spurs and ridges branch out towards east and west. The major forest types in Mt. 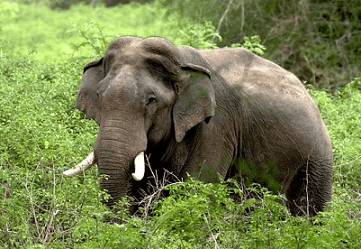 Harriet National Park include Evergreen Forest, Andaman Tropical Evergreen Forest, Andaman Semi-evergreen Forest, Andaman Moist Deciduous Forest and Littoral Forest. General elevation of the park area varies from mean sea level to 459 meters comprising steep precipitous slopes, gentle slopes with undulating terrain. Dipterocarpus grandiflorus, Dipterocarpus gracilis, Dipterocarpus Kerrii, Endospermum chinensis, Albizzia lebbeck, Hopea odorata, Ficus glomerata, Canarium manii, F. hispida, Lagerstroemia hypoleuca, Lannea spp., Mesua ferrea, Terminalia bialata, T. procera, Cratoxylum formosum, Dipterocarpus costatus, Manilkara littoralis, Moringa citrifolia etc. 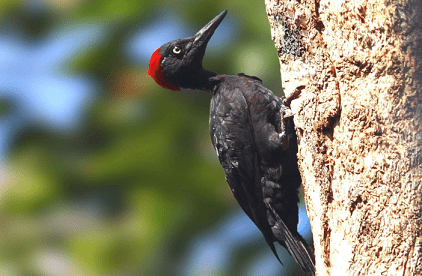 Faunal group found in this national park include 90 species of birds, out of which 11 are endemic, 27 species of reptiles and 12 endemic amphibian species. Reptiles reported from the park area include King Cobra, Andaman Cobra and two nesting marine turtles-green sea and Olive Ridley etc. This park is a home for 120 species of moths including many new species. 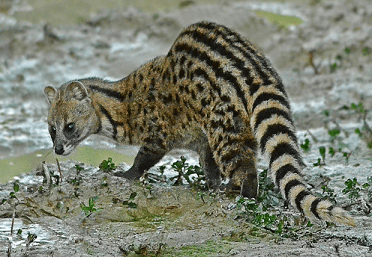 Mammals – Andaman Wild Pig, Andaman Masked Palm Civet, Andaman Rat, Flying Fox, Asian Elephant, Chital etc. 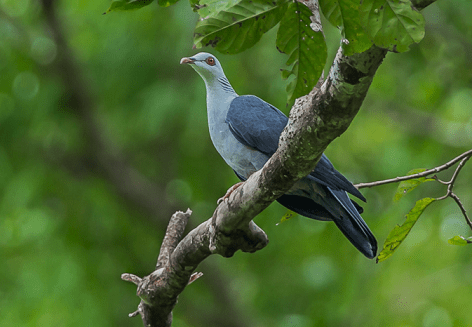 Birds – Andaman wood pigeon, Andaman cuckoo dove, Andaman scoops-owl, Andaman bookbook, Andaman woodpecker, Andaman drongo, Andaman treepie, Andaman coucal, White headed starling etc. The freshwater fishes present in the streams within the Park area are represented by 16 species, mainly eels, catfish, gobies, sleepers and snakeheads. Andaman Bull Frog, Andaman Paddy field Frogs are also found. Mount Harriet National Park is open throughout the year. The best time of the year to visit the Mount Harriet National Park is between the months of January to March. Visitors can reach the Middle Button Island National Park through ferries from Port Blair, capital city of Andaman and Nicobar Union Territory. Professional photographer can carry their gadget by paying Rs. 200/- and for film shooting it is Rs. 3000/-. 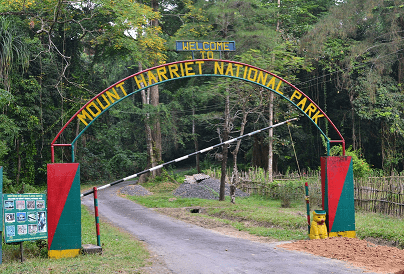 By Air – Nearest airport is Port Blair airport, from the Mount Harriet National Park. Port Blair is well connected with Delhi, Kolkata and Chennai Airport as well as through Ships. By Rail – There is no railway station in Andaman archipelago. Nearest railway station is Chennai Railway Station in Chennai city of Tamil Nadu, which is approximately 1,370 away from the Island. By Road – Mount Harriet National Park is well connected to Major Cities and Places by road network. There are a number of government and privately operated vehicles that go to Mount Harriet National Park. The park is accessible by the vehicle or passenger ferry which leaves every two hours from Phoenix Bay Jetty to Bamboo Flat. Accommodation facilities are available at Mount Harriet National Park. Accommodation facilities provided in the forest guesthouse can be availed with a prior permission of Mount Harriet National Park authorities. Foreign nationals need to take permission from the park authorities to visit and stay in the park area. The places in the Andaman and Nicobar islands which can be used for stay are Middle Andaman Island, South Andaman Island, Neil Island, Little Andaman Island, Long Island, Havelock Island, Baratang, Diglipur, North Passage and the Mahatma Gandhi National Marine Park. Other National Parks in Andaman and Nicobar Islands. Name of National Parks, Year of Notification and Total Area is as follows……..